Part Numbers: 93177321, 93192558, 817305. For Vauxhall Agila (2000-2008) Models For Z13DT Diesel Engine. For Vauxhall Corsa C (2001-2006) Hatchback, Van F08, F68 Models For Y13DT, Z13DT Diesel Engines. Part Numbers: 25321516, 817403. For Vauxhall Vectra B (98-01)X16XEL Engine From Chassis Numbers W7154259-, W5-, WL-, WS-, W1-, WP-. For Vauxhall Astra F (93-98)X14XE Engine. For Vauxhall Astra G (98-04)X14XE, X16XEL Engines. Part Numbers: 95507125. For Vauxhall Zafira B (2005-2011)Z19DTL, Z19DT Engines. For Vauxhall Astra H (2004-2010)Z19DTL, Z19DT Engines. Lambda Sensors. Petrol System. Established Since 2000, Genuine Part Search Specialises In Genuine Car Parts. Vauxhall Part Numbers: 98023454, 97334124. 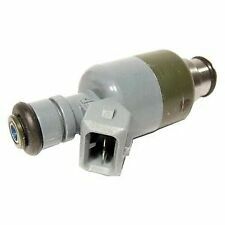 Vauxhall 1.7 Diesel Fuel Injection Distributor Used Bosch. Astra H (2004-2009) With Z17DTL Or Z17DTH Engine Codes. Astra G (1998-2004) With Z17DTL Engine Code. Part Number 55578366. New Genuine Vauxhall Fuel Injector Leak Off Pipe Kit. A used item in good working order. VAUXHALL PART NUMBER – 9112141. OPEL PART NUMBER – 4404141. Part Numbers: R1590065, 93169119. Genuine Vauxhall Diesel Fuel Injector. For Vauxhall Astra H (04-07)Z19DTL, Z19DT Engines Up To Chassis Numbers -72045139, -75030986, -78007391, -7G. For Vauxhall Zafira B (05-06)Z19DTL, Z19DT Engines Up To Chassis Numbers -62999999, -6G999999. Vauxhall Part Number: 9201664. Movano A (1999-2010). Vauxhall Movano A 1999-2010. Item details: Genuine Vauxhall Fuel Injection Distributor Pipe. FUEL INJECTION PUMP DISTRIBUTOR PIPE. (EARLY TYPE). Opel Part Number: 4506141. Fuel pressure regulator and 2 injectors also available. Pipe, fuel feed, pump to pipe. THE ITEM IS NUMBER 1 IN THE PICTURE. VECTRA-CZ18XE[2H9] HATCH,SALOON F68,F69 Chasis Number: 3M000001-4M012888. -ASTRA-G ZAFIRA-AZ16SE[L55]. PART NUMBER 55202754. IF THERE ARE PART NUMBERS IN THE ADVERT, THEY'RE THERE FOR A REASON. THIS MUST BE CHECKED PHYSICALLY AGAINST THE PART YOU ARE REPLACING. IF IT DOES NOT MATCH THEN IT IS MORE THAN LIKELY WILL NOT WORK ON YOUR CAR. 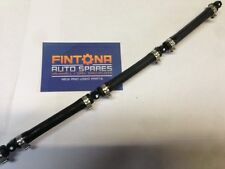 Opel Astra G 1.7 TD X17DTL diesel injection line fuel line 90572907. Manufacturer Part Number 12609749. New GM parts – no imitations. GM parts can be warrantied anywhere in the US with your receipt from us. Huffines Chevrolet – family owned since 1924! There’s no need to guess if the part will fit, or to call a dealer who may or may not give you the correct part number – we are the source, and we’re here to help! This is the kit to update from the original CSFI to MPFI. Huffines Chevrolet – family owned since 1924! There’s no need to guess if the part will fit, or to call a dealer who may or may not give you the correct part number – we are the source, and we’re here to help! · Match yours part with ours part pictures. Manufacturer Part Number 97780360. Huffines Chevrolet – family owned since 1924! There’s no need to guess if the part will fit, or to call a dealer who may or may not give you the correct part number – we are the source, and we’re here to help! NEW GENUINE GM PART. (we unable to check Compatibility using UK reg plates ). GMC# 55485888. SUPERCEDED# 55501991. Superseded Part Number 55501991. Manufacturer Part Number 55485888. th INJECTOR. NEW EMISSION SYSTEM 7. Type DIESEL 7th INJECTOR. Because of this there may be slight imperfections on the part. Interchange Part Number 12556450, 12558948, 3861267, 38612677, 392881732. Manufacturer Part Number 12558948. Interchange Part Number D580, 6737105, GN10374, UF192, 5C1078, C1144. Manufacturer Part Number 12634126. New GM parts – no imitations. GM parts can be warrantied anywhere in the US with your receipt from us. Huffines Chevrolet – family owned since 1924! There’s no need to guess if the part will fit, or to call a dealer who may or may not give you the correct part number – we are the source, and we’re here to help! Manufacturer Part Number 97780474. Huffines Chevrolet – family owned since 1924! There’s no need to guess if the part will fit, or to call a dealer who may or may not give you the correct part number – we are the source, and we’re here to help! Manufacturer Part Number 19256590. Huffines Chevrolet – family owned since 1924! There’s no need to guess if the part will fit, or to call a dealer who may or may not give you the correct part number – we are the source, and we’re here to help! Manufacturer Part Number 19210900. Huffines Chevrolet – family owned since 1924! There’s no need to guess if the part will fit, or to call a dealer who may or may not give you the correct part number – we are the source, and we’re here to help! 90159555 1236106 Opel fuel quantity gauge new. Flow rate 22 lb/hr. Resistance: 14-16 ohm. AC Delco part numbers. 1992, 1993, 1994, 1995, 1996, Chevrolet Chevy, Beretta, Cavalier, Corsica. 1992 - 1996 Corsica 4 door base, 2.2. 1992 - 1993 Corsica 4 door LT, 2.2. 1992 - 1996 Beretta 2 door base, 2.2. 1992 - 1993 Beretta 2 door GT, 2.2. Part number 12591091. The part number in the table above must be identical with the number of your part, otherwise the part will not work properly. Technical condition new. SWIFT: INGBPLPW. 30 1050 1070 1000 0022 1597 3690.